Check our step-by-step guides below about how you can use Syncee. Choose any of the suppliers from our in-app catalog and sell products easily in your Shopify store. We list reliable companies in the Syncee Supplier Exchange from all over the world. How to use the Basic Upload/Update Feature? It does not matter how your supplier stores the product data, you can import the data feed file using a URL, secured URL, File upload, SFTP, FTP with SSL, FTP, Dropbox, Google Docs, Google Drive and One Drive. If you have API or SOAP connection, contact our support staff. You can also use a variety of source file formats, like CSV, TXT, JSON, XLS(X), XML to import your products. 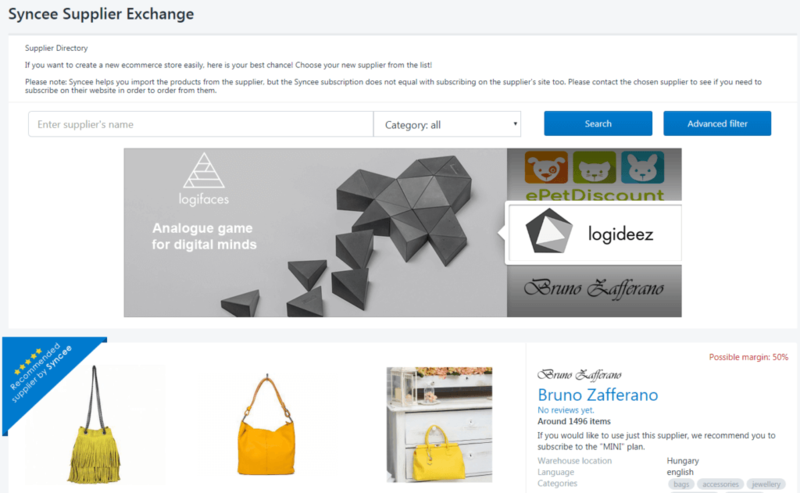 Syncee’s easy-to-use dropdown boxes enable you to connect the product data to your online store’s product fields. 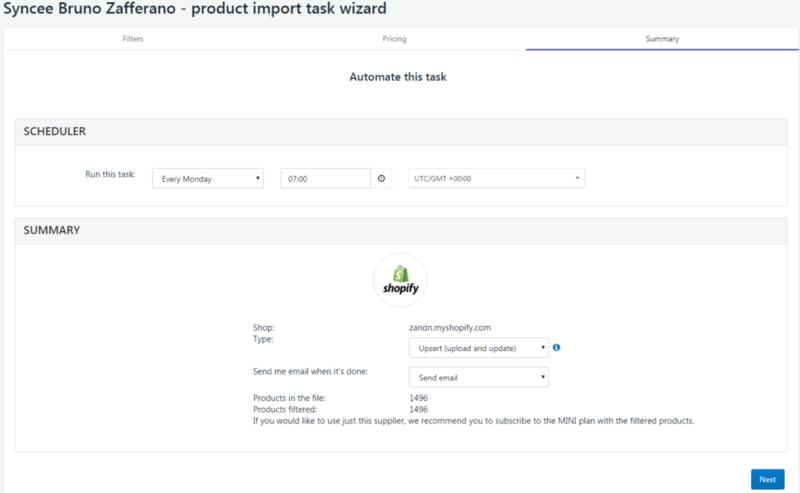 Wide range of Shopify product fields are supported, like Title, SKU, Price, Barcode, Compare at price, Description, Images, Product type, Collections, Vendor, Variants etc. If there are certain products you do not wish to upload to your store from your data feed file, filter them within 1 minute. You can choose from our Basic or Advanced filter options. Furthermore, Syncee makes it possible not to publish products without images. 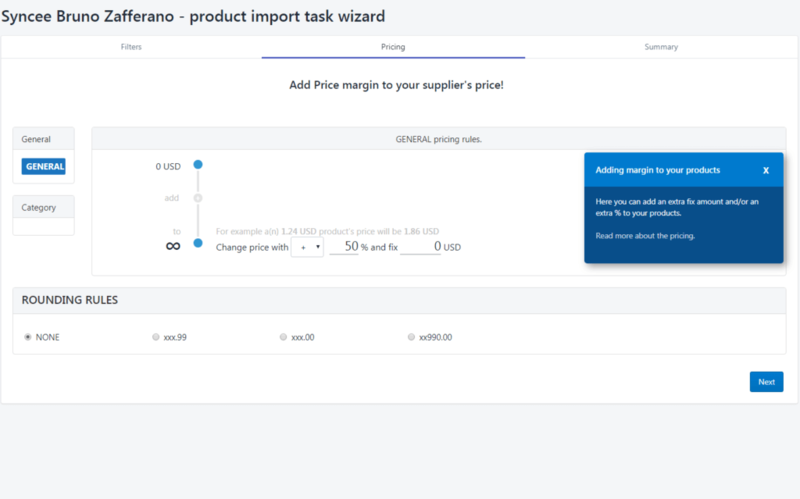 You do not have to worry about the tiresome manual update of your product prices, because you can add fixed or percentage-based margin to your products in bulk. Moreover, you can create price ranges to establish a tiered pricing model. 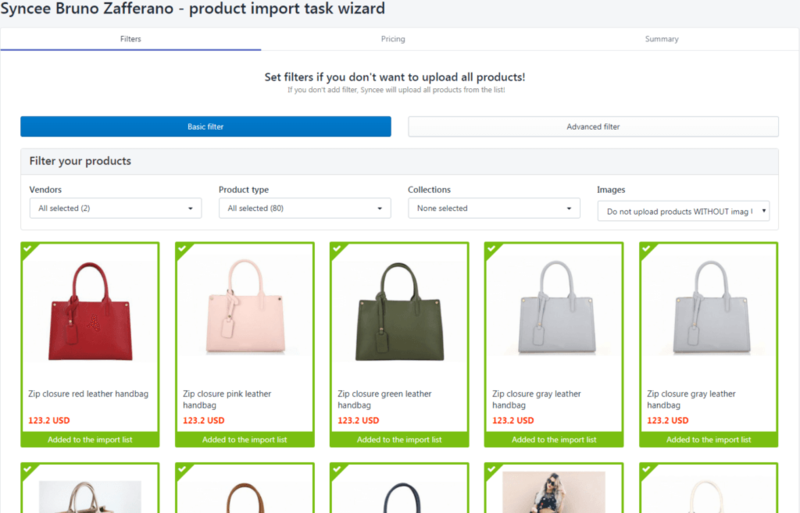 You can also schedule the update/upload of your products, as a result, Syncee will do the lion’s share of the work for you.You can start the task manually, but your subscription also includes the automatic handling of your task. You can run it any time you want.